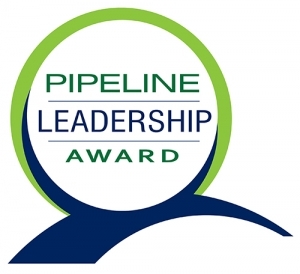 North American Oil & Gas Pipelines is accepting nominations for the Pipeline Leadership Award. To be considered, please complete the following form to submit your information. A person, an organization, or a combination of people and organizations in relation to a specific project can be recognized for their leadership and innovation. Only North American projects are recognized. Winners will be featured in the November/December 2019 issue of North American Oil & Gas Pipelines and officially honored at the Pipeline Leadership Conference, Nov. 6-7, in Houston, TX. Any questions, please contact Managing Editor Brad Kramer at bkramer@benjaminmedia.com or call (330) 315-2104. The deadline for submissions is August 2, 2019.